4 Bedroom End of Terrace House For Sale in South Croydon for Asking Price £600,000. 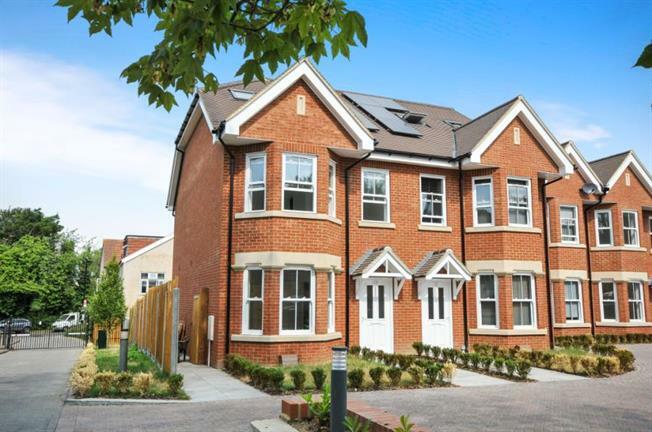 A stunning brand new end of terraced four bedroom house situated in a popular gated cul-de-sac in South Croydon within easy reach of both South Croydon and Sanderstead stations. The accommodation comprises modern fully fitted kitchen/dining room with stone work surfaces and some high spec bosch appliances such as built in oven and hob, dishwasher and fridge freezer, separate lounge/living room and downstairs WC. To the first floor there are three double bedrooms with ensuite shower room to master and a family bathroom. The second floor there are a further bedroom and another ensuite shower room. Other benefits include allocated parking for two vehicles, private rear garden, gas central heating via radiators, carpeted bedrooms and wood flooring in the living room and the hallway and a 10 year build warranty. This property is fully completed and available for immediate occupation. Call 020 8651 0953 today to arrange your viewing appointment.